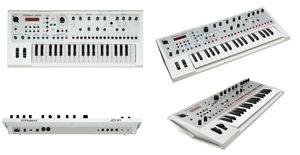 The JD-Xi has become one of the best selling synthesizers in the U.S. by offering a unique crossover sound engine with the warm, smooth response of classic analog, and the clarity and versatility of modern digital. 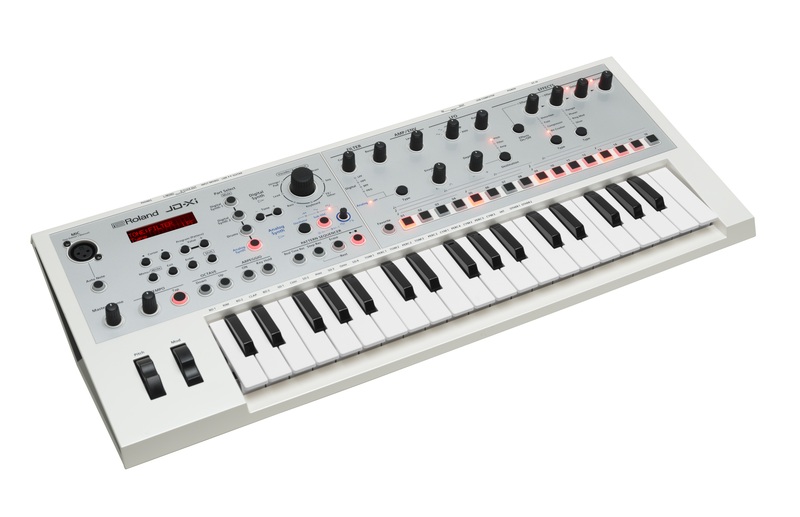 Players can enjoy fat, warm analog bass and lead tones with ample controls for hands-on tweaking, plus polyphonic PCM essentials like electric piano, brass, guitar, and many others — all in one keyboard. Top panel of JD-Xi in White. 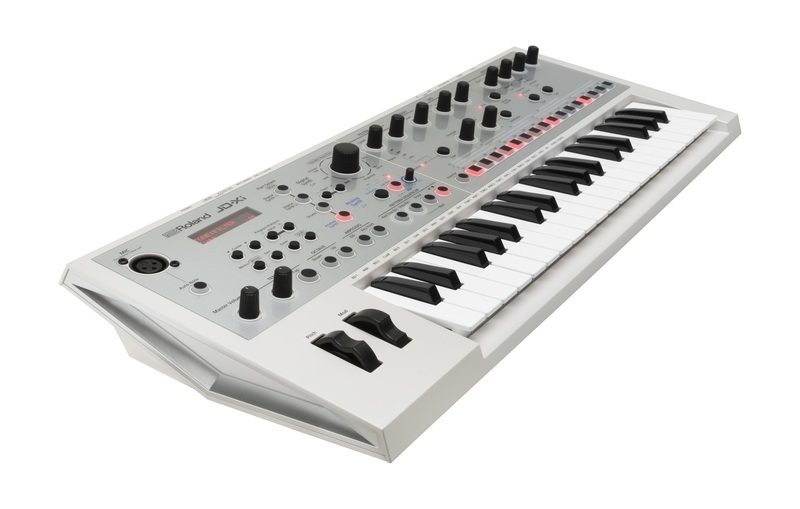 Equipped with 37 mini keys, the JD-Xi features a true analog synth engine along with a wide selection of Roland’s acclaimed SuperNATURAL digital sounds. This affordable instrument also comes packed with many extras for self-contained music creation, including built-in drum kits, a four-track pattern sequencer, and a gooseneck mic for using the synth’s Vocoder and AutoPitch effects. 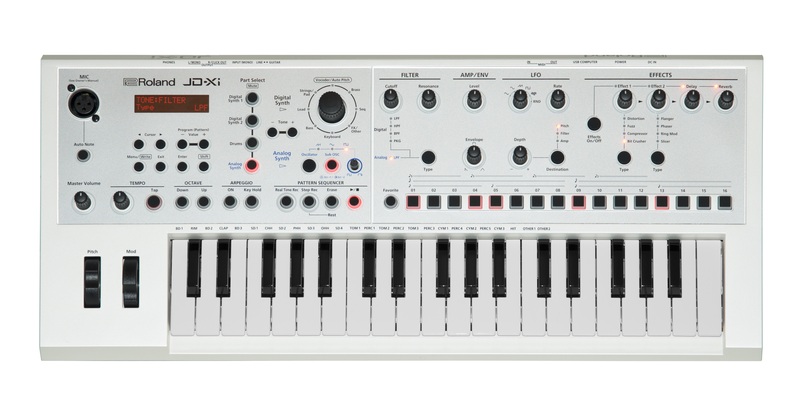 Limited Edition White Roland JD-Xi Synth. For more information on the features and specs, visit www.rolandus.com/products/jd-xi/.